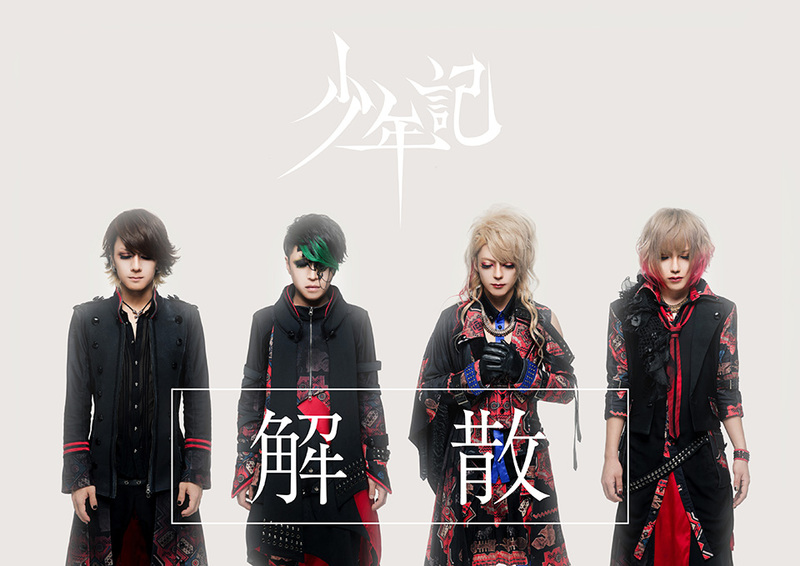 Shounenki has announced that they will be disbanding March 28th, 2016. While rumors have been circulating about this possible decision, the band confirmed it on their website on February 5th. The members made comments regarding this decision, expressing their disappointment and how reality wasn't living up to their expectations. They're thankful for fan support over their last 4 1/2 years of activity and memories, and the apologize for this sudden announcement. In addition to the disbandment, Ba. Rei will be retiring from musical activities. 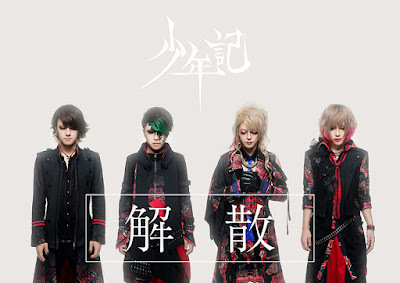 While members of Shounenki are still valuable to him, he determined that this would be his final band. No definitive details behind this disbandment have been announced, though the band assures their fans it was not disharmony among members. Their last one-man live will be held on March 28, 2016 at Takadanobaba AREA.